If you are searching for a reliable fuel supply company that will treat you right, call Didato's Oil Service. Not only will we make sure you get what you need, but we'll also provide you with hassle-free, friendly service. 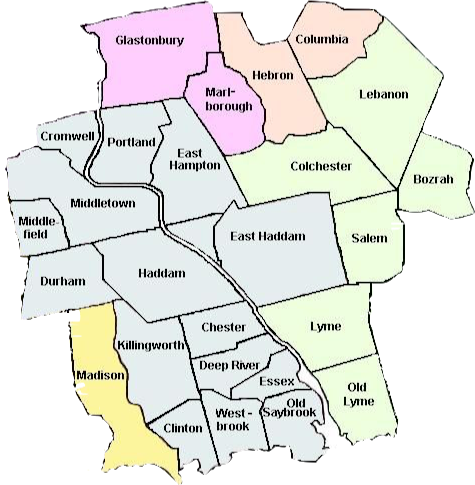 We serve a large area in the Middletown, CT region of the state, and we have been in business since 1948. We are a full service family owned and operated oil company offering automatic oil delivery, once on automatic delivery you become eligible for one of our price protection programs as well as a service plan. Capped and fixed price protection programs with budget options available and service plans with 24/7 emergency service. We also offer service and installation of all heating and air conditioning systems, mini split systems, hot water heaters and indirect water heaters, Kohler generators, duct cleaning and much more. Capped price protection programs offers upside and downside protection, there is a small fee for each gallon covered. At the time of the delivery if our market price is less than your capped rate you would be billed the lower market rate, if the market rate is higher now worries, you would be billed at your lower capped rate. The capped price protection program can be offered as a pre-pay, pay-as-delivered or we can set up monthly budget payments. We also offer a fixed price program, the fixed program covers your gallons from September 1st through April 30th , there is no fee for this program, the price is simply fixed. We recommend covering 80% of your actual consumption to be sure all gallons are delivered. The fixed program is a pre-pay paid upfront. When it comes to heating or cooling your house, you're going to want someone who knows exactly what they're doing. Our team of highly trained and skilled professionals have years of experience in all things oil, heating, and cooling. They pride themselves on handling each service with skill and precision. We understand that heating and cooling your house can be a complicated matter. This is why we listen closely to your needs and go out of our way to answer any questions you have about equipment tune-ups, oil delivery, and installation questions. We have partnered with Dutch Propane to offer automatic propane deliveries, will call deliveries and monitored deliveries. We provide propane service and installation for propane heating systems, cooking, fire log sets, generators, outdoor propane firepits and anything else propane.